We check over 450 stores daily and we last saw this product for $2,000 at Ylang23. 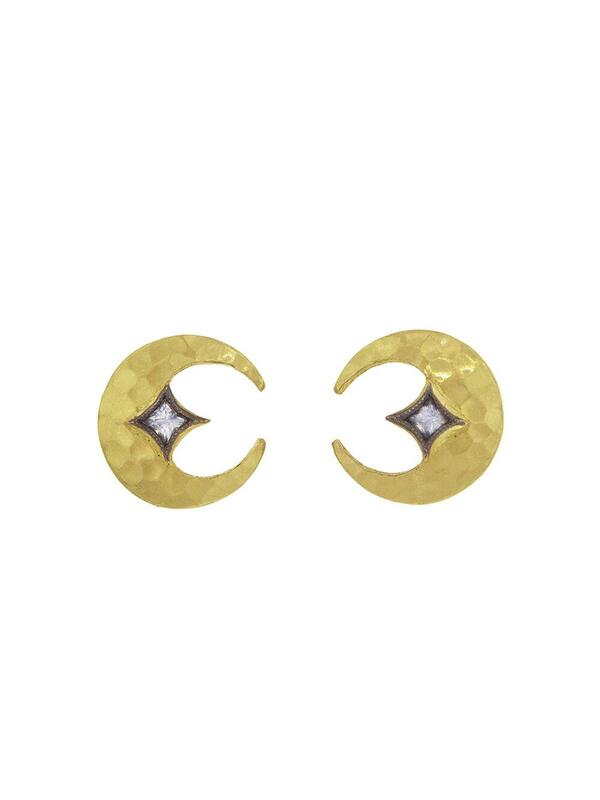 These bright studs from Cathy Waterman showcase lightly hammered crescent moons. 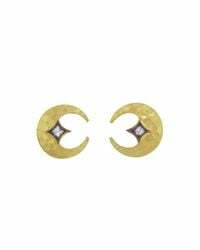 The moons are centered with blue sapphires that are bezel set in a blackened finish. Handcrafted in 22-karat yellow gold. Detailed in blue sapphire. Blue sapphire totals 0.14 carats. 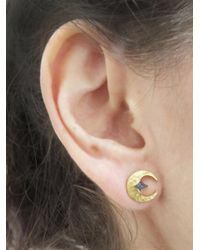 Moon measures 3/8-in. Across and 7/16-in. Long. Posted.